Finally! 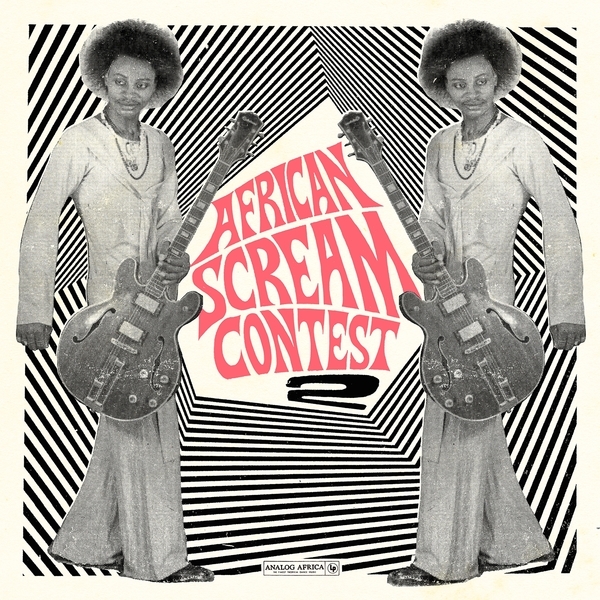 A second part of the legendary African Scream Contest compilation which really put Analog Africa on the collector’s map back in 2008. Samy Ben Redjeb has done another sterling job in reviving these cuts from Benin & Togo for posterity and parties everywhere, not to mention officially licensing all the material on board; including heavy funk ’n soul fire in Les Sympathics de Porto Novo’s A Min We Vo Nou We, on the driving disco-funk bubble of Moulon Devia from Orchestre Poly-Rythmo de Cotonou, some nerve-jangling funk from a clearly James Brown infatuated Super Borgou de Parakou, and the melting synths on Gnonnas Pedro and His Dadjes Band’s How Much Love Naturally Costs. Class is in session! “A great compilation can open the gate to another world. Who knew that some of the most exciting Afro-funk records of all time were actually made in the small West African country of Benin? Once Analog Africa released the first African Scream Contest in 2008, the proof was there for all to hear; gut-busting yelps, lethally well- drilled horn sections and irresistibly insistent rhythms added up to a record that took you into its own space with the same electrifying sureness as any favourite blues or soul or funk or punk sampler you might care to mention. 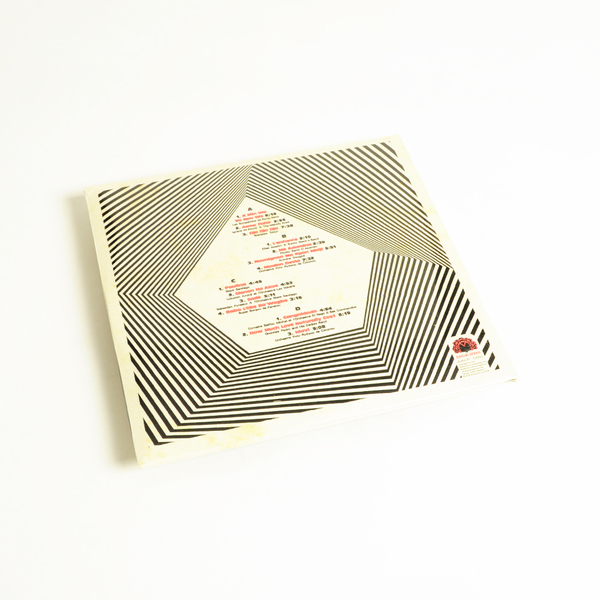 Ten years on, intrepid crate-digger Samy Ben Redjeb unveils a new treasure- trove of Vodoun-inspired Afrobeat heavy funk crossover greatness. Right from the laceratingly raw guitar fanfare which kicks off Les Sympathics’ pile-driving opener, it’s clear that African Scream Contest II is going to be every bit as joyous a voyage of discovery as its predecessor. And just as you’re trying to get off the canvas after this one-punch knock out, an irresistible Afro-ska romp with a more than subliminal echo of the Batman theme puts you right back there. Ignace De Souza and the Melody Aces’ “Asaw Fofor" would’ve been a killer instrumental but once you’ve factored in the improbably-rich-to-the-point-of-being-Nat-King-Cole-influenced lead vocal, it’s a total revelation. The screaming does not stop there, in fact it’s only just beginning. But the strange thing about African Scream Contest II’s celebration of unfettered Beninese creativity is that it would not have been possible without the assistance of a musician who had been trained by the Russian secret services to "search and destroy" enemies of the country’s (then) Marxist-Leninist president Mathieu Kerekou. Already familiar to fans of the first African Scream Contest as a mainstay of ruthlessly disciplined military band Les Volcans de la Capitale, Lokonon André vanished in a cloud of dust at Ben Redjeb’s behest with a list of names and some petrol money, only to return a few days later having miraculously tracked down every single name he’d been given. The source of this Afrobeat bounty-hunter’s impressive people-finding skills - his training with the KGB - highlights the tension between encroaching authoritarian politics and fearless expressions of personal creative freedom which is the back-story of so much great African music of the 60s and 70s. Happily, in this instance, Lokonon was tracking the artists down to offer them licensing deals, rather than to arrest them. Gatefold 2LP. Includes 24 page booklet and download code.